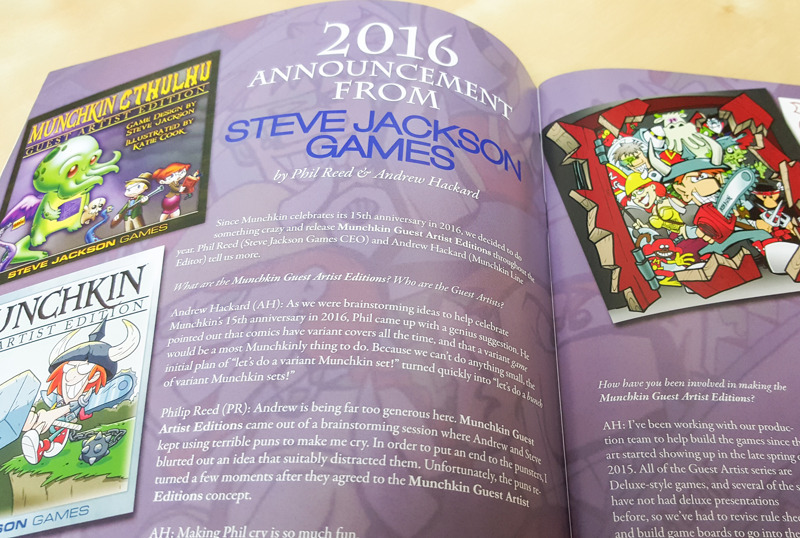 The December 2015 issue of Meeple Monthly featured an interview with our very own Phil Reed and Andrew Hackard about the Munchkin Guest Artist Editions, and some of the behind-the-scenes production aspects of making a set. They delve into the origins of the guest artist idea, development of some of the cards, and how the art of Munchkin is integral to the humor of the game. It's a unique inside view on this massive project for the 15th Anniversary of Munchkin, with two of the great minds behind it. Meeple Monthly is a retailer magazine focusing on game releases, and you can find it at your Friendly Local Game Store!